One of the more controversial changes to the Kuomintang (KMT) party charter – introduced by President Ma Jing-yeou and passed at the party congress in November 2013 – ensures that an elected KMT-president will automatically assume the position of Chair of the party. Delegates supporting and opposing the measure acknowledge that the change will enhance unity in the party; they differ primarily on whether that is a good thing. The question may have taken on added urgency with President Ma’s tumbling approval ratings following his reelection as party chair in July 2013. What is at stake here? In the long-term, the measure affects two outcomes: the president’s influence on the party and party members’ legislative independence. In the short-term, supporters and opponents may be quibbling over the president’s legacy versus legislators’ tenure. For the executive, the measure narrows the gap between the presidency and party members in the legislature in the semi-presidential system in Taiwan. In particular, if the KMT wins the presidency in elections, the new president-elect will take over as chair of the party, which brings with it the legislative support – at least in theory – of the KMT members in the legislature. One outcome is better synchronization of the policy agendas of the executive and the party. The immediate stakes is that current party chair, President Ma, will cut short by 18 months his term as chair to make way for the new president-elect should that take place. The trade-off may be that, as chair, Ma will have some influence on the party’s presidential nominee and the election platform. For the party’s legislative members, the measure similarly narrows the gap between the presidency and party members in the legislature. For party members, this means that their legislative independence may be reduced. However, there may be trade-off in the form of longer office-tenure. In particular, a popular president-elect is likely to bring coattail effects for party members into the legislature. But, in the short-term, the stakes are affected by two additional circumstances: first, President Ma’s perceived lack of consultation with party members over matters that affect the party, such as in his ousting of Legislative Speaker Wang Jin-pyng; second, the upcoming the 7-in-1 elections in 2014, followed by the 2016 legislative and presidential elections. In the near-term, the concern for KMT legislators, then, is not limited to party accord: there may be possible negative coattail effects that affect their legislative tenure. Specifically, the executive-as-partychair ties the electoral fortunes of party members to the president’s popularity, or lack thereof, while reducing the possibility of recovery from missteps or misfortunes. Opponents of the measure alluded to the problem: Ma continues on as chair even if the party suffers electoral defeats at the local elections and the 2016 national elections. It may bear reminding that Taiwan is an emergent democracy with weak partisanship. To the extent that political party institutionalization is a key pillar of democratic development, this measure in the KMT takes a step towards party consolidation, although it may increase uncertainty of election outcomes. This entry was posted in Asia, Taiwan and tagged Asia, legislative independence, party consolidation, party system institutionalization, president's influence, Semi-presidential system on January 15, 2014 by Fiona Yap. Taiwan’s President Ma jing-yeou has seen better days. The leader and his Kuomingtang (KMT) party-led Pan-Blue camp swept into the executive and legislature in 2008 and effectively took control of the semi-presidential system. The 2008 run ended the Democratic Progressive Party (DPP)’s 8-year hold on the presidency and reduced the DPP’s plurality in the legislature from 40 percent to 24 percent (although the DPP increased electoral support in that election). Fast-forward to 2012: Ma successfully retained the presidential office, and the KMT-led Pan-Blue camp retained its legislative majority, albeit reduced to 64 seats. Analysts and pollsters noted the Taiwan electorate’s endorsement of the KMT-directive to continue to build ties with China, and it seemed that all was on track for the reelected leader and party to focus on reviving a weakening economy under conditions of the global financial crisis. Yet, less than two years later, President Ma appears to be in a battle for his political life: he is facing single-digit approval ratings and mass protests calling for his resignation from the office. Political development clearly benefits from greater government accountability, but when citizens mobilize to demand for greater accountability – such as these protests against President Ma – the vitality of the thousands or tens of thousands acting beyond periodic elections spurs efforts to harness that momentum towards concrete, documentable outcomes. These include demands for executive recall or even constitutional change. It is no small irony that even as the protests against Ma are founded on the personalistic nature of his presidency – in particular, his effort to oust legislative speaker Wang Jin-pyng is seen as a political move that oversteps the separation of powers in semi-presidential and presidential systems – some of the changes demanded by protestors also move away from stable, institutional (constitutional) politics. It is, thus, opportune to consider: what changes improve the survival of the president as an institution in the semi-presidential system system but not that of the occupant? 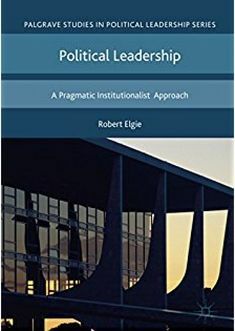 Studies on semi-presidential systems note the instability of the political system in minority and deadlock conditions, particularly in comparison to their parliamentary counterparts. These studies have spurred additional works that emphasize the importance of distinguishing between the performance of the political system and government’s policy performance to ensure government accountability without rejecting the political system in the process. Based on these studies, the answers are clear. Presidential approval/disapproval are fertile grounds for change if these changes relate to government accountability for policy performance. In the context of Taiwan, they may be used to impel changes that underlie policy performance and government accountability for that performance. Yet, importantly, caution must be exercised if approval/disapproval and protests are used to undergird institutional changes to avoid throwing the baby out with the bathwater. The term limits on the president means that Ma will not be eligible to stand for another election. This means that voters will not have the satisfaction of heaving him out of office. This may explain the swelling of protests to oust him out mid-term. Yet, it is no small irony that one recommendation for constitutional change to increase greater accountability and presidential approval while stabilizing the presidential system is to remove the term limits. See some excellent discussions in Elgie (2011), Cheibub and Chernykh (2008), and Samuels and Shugart (2010). This entry was posted in Asia, Taiwan and tagged Asia, President Ma, Presidential Power, Semi-presidential system, Taiwan on October 10, 2013 by Fiona Yap.